Last year, the Malaysian IP Office (MyIPO) maintained the fast pace of substantive examination, which began in year 2014. This has resulted in an increase of more than 5% in the number of patents granted in year 2015. 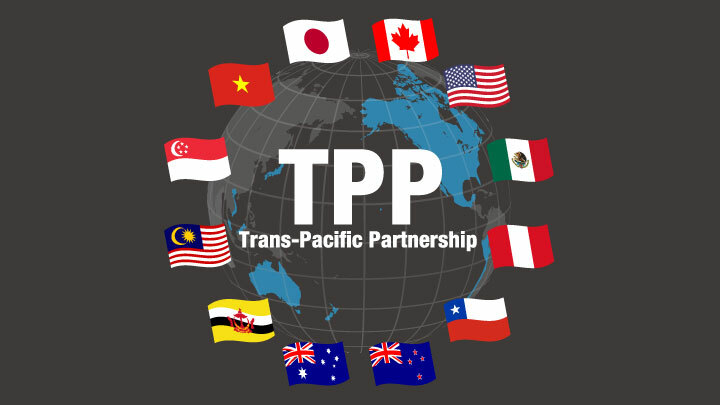 This effort by MyIPO is in anticipation of implementation of the Trans-Pacific Partnership Agreement (TPPA) in the near future. Malaysia is already compliant with most of the provisions of Chapter 18 of the TPPA, which is directed at intellectual property matters. However, implementation of certain articles of Chapter 18 will require amendment of the prevailing statutes, for example, in relation to patent term adjustments due to Patent Office delays, publication of patent applications, public availability of prosecution documents and definition of traditional knowledge and genetic resources as prior art. Section 35 of Malaysia’s Patents Act will need amending to allow for adjustment to the term of protection of a patent if there is unreasonable delay by the Patent Office. Article 18.46 of Chapter 18 of the TPPA defines delay as a period of more than 5 years from filing or 3 years after requesting examination, whichever is later, excluding any delays attributable to the applicant. Examples of acts that could be construed as delays on the part of the applicant are an application for deferment for requesting substantive examination (and/or providing information and documents in respect of a substantive examination request), a request for extension of time, application for reinstatement to enter PCT national phase, filing of voluntary amendments and filing of voluntary divisional applications. Chapter 18 of the TPPA provides for publication of a patent application 18 months from the earliest priority date or filing date. Section 34 of the Patents Act currently only provides that a patent application will be made available for public inspection after 18 months upon the payment of a fee. This provision will need to be amended to provide for actual publication of a patent application as is envisioned under the TPPA. Further, Article 18.44 of the TPPA recites a provision to allow a patent applicant to request for early publication. As it stands, Section 34 only enables the applicant to grant written permission for early inspection of information relating to a patent application upon the request of a third party. As for public availability of patent information and documents, currently Section 34 provides for limited information and documents to be made available for public inspection upon payment of a fee. In order to comply with Chapter 18 of the TPPA, Section 34 will need to be amended to enable prosecution documents, including search and examination results as well as communications between MyIPO and the patent applicant or their agent, to be made publicly available. Chapter 18 of the TPPA includes a provision to define traditional knowledge associated with genetic resources as prior art for the purposes of patent examination. Provisions to recognize traditional knowledge and genetic resource documents as prior art during substantive examination have been proposed for inclusion into the Patents Act since 2010 and are anticipated to be passed in Parliament soon. These provisions require submission of evidence of Prior Informed Consent and Certificate of Origin during patent examination. The TPPA provides that a patent applicant must have at least one opportunity to amend, correct and/or submit observations regarding his patent application. Although the Patents Act is already in compliance with this provision, MyIPO’s practice of automatically granting a patent very shortly after allowance had, until very recently, precluded this possibility for cases where the Substantive Examination – Clear Report (notice of allowance) is the first Examination Report issued. In order to fully comply with this TPPA provision, MyIPO has now changed its practice so as to explicitly allow for amendments and/or corrections to be filed within two months of allowance if the Clear Report is the first Examination Report issued for the application. So as to avoid delaying grant unnecessarily, MyIPO will grant such applications even before expiry of this two-month period, if they are notified of the applicant’s lack of interest in entering amendments or corrections. As in other developing countries, implementation of the TPPA will have particular effect on pharmaceutical patents in Malaysia in regard to the term of protection of such patents, protection of test data and the establishment of a patent linkage system. Potentially, the TPPA provides for extension of the term of a pharmaceutical patent in the event of a delay in the grant of marketing approval. Section 35 of the Patents Act will also need to be amended to include this TPPA provision, as with patent term adjustment due to Patent Office delays. At present, neither the length of time considered a delay nor the conditions and/or limitations to be met before grant of such extension, is known. Further, Chapter 18 of the TPPA provides for a 5-year data exclusivity period for clinical data and enhanced 8-year data exclusivity for biologics. Notably, the Malaysian government has negotiated an exception such that the 5-year and 8-year exclusivity periods are only applicable if the manufacturer commences the process of obtaining marketing approval in Malaysia within 18 months from the date the product is first granted marketing approval in any other country. Compliance with Chapter 18 of the TPPA will also see the first enactment of a patent linkage system in Malaysia. Under this provision, when a person applies for marketing approval of a pharmaceutical product with data of the original supplier of the product and that product is protected by a Malaysian patent, the Drug Control Authority (DCA), an executive body of Malaysia’s National Pharmaceutical Control Bureau (NPCB), will be obliged to notify the patent owner so as to enable legal action to be taken. For the most part, no changes to the statutes are required to comply with the pharmaceutical provisions of Chapter 18 of the TPPA. However, administrative changes will need to be implemented by the DCA.